The draw for the Qualification Europe of the Women’s U20 World Championship will be carried out on 18 November 2011. The Women’s Under 20 World Championship is an event for players born 1992 or younger. The IHF event will be carried out in the Czech Republic between 1 and 15 July 2012. 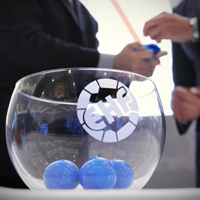 Qualification Europe will be drawn on 18 November 2011 at approximately 11:00 hrs (local time) in the Eventpyramide Vösendorf, south of Vienna (AUT) on the occasion of the Conference for Secretaries General, at the 20th anniversary of the European Handball Federation. Three European nations are already qualified for the event: organisers Czech Republic as well as Denmark and the Netherlands as winners and runners-up at the 2011 W19 European Championship. 24 other European nations will battle to qualify for the ten remaining European spots at the final tournament through qualification that will be carried out between 6 and 8 April 2012. 24 national teams will take part in the qualification. They will be drawn into six groups of four teams. 10 teams will qualify for the final tournament: in the groups 1 to 4 the top two teams will qualify, in the groups 5 and 6 only the group winner will qualify. The seeding of the national teams is based on the ranking of the 2011 Women’s 19 ECh in the Netherlands. The teams of Pot 1 will be placed into row 1, groups 1-4. The teams of Pot 2 will be drawn into row 1, groups 5-6 and row 2, groups 1-4. The teams of Pot 3 will be drawn to row 2, groups 5-6, row 3, groups 1-6 and row 4, groups 1-6. In step one, the four teams of Pot 1 are placed to row 1, groups 1-4. In step two, the teams of pot 2 are drawn to row 1, groups 5-6 and row 2, groups 1-4. In step three, the teams of pot 3 are drawn to row 2, groups 5-6, row 3, groups 1-6 and row 4, groups 1-6. In step four, a separate draw will determine theright to organise the qualification tournament. Teams which were already awarded with the right to organise the 2010 Women’s U20 WCh qualification groups do not have the right to be the organiser of a 2012 Women’s U20 WCh qualification group. This applies to Austria, Spain, Romania, Serbia, Slovakia and the Ukraine.